The Master Lock No. 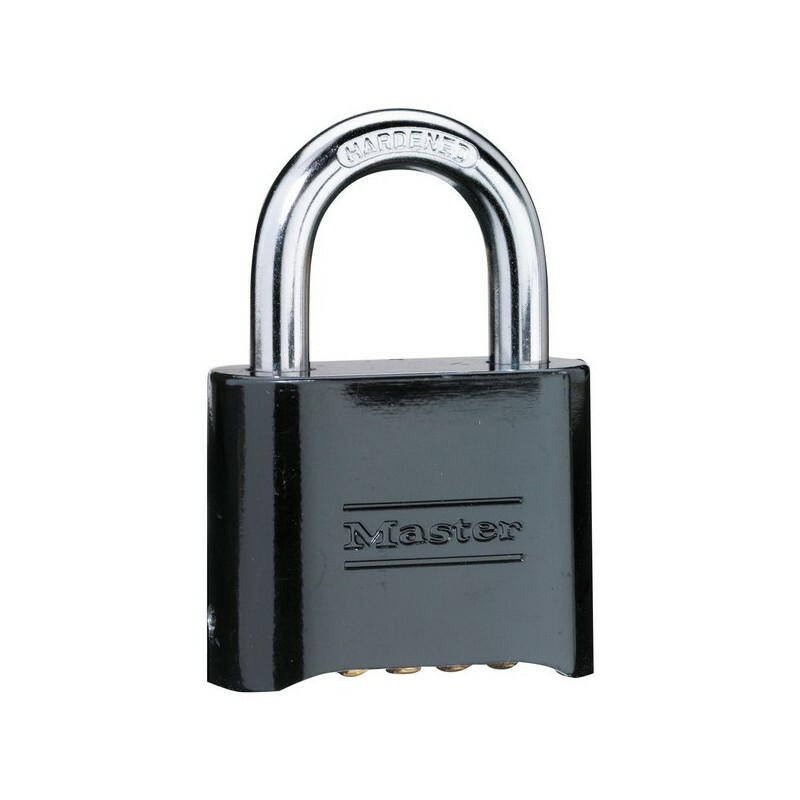 178 Resettable Combination Padlock features a 2in (51mm) wide solid Die-Cast black body and a 1in (25mm) tall, 5/16in (8mm) diameter hardened steel shackle for excellent cut resistance. The 4-digit dials allow you to set-your-own combination and reset to restrict/change allowed access — 10,000 combinations available.